Nicaragua isn’t the only Central American country in crisis in 2018. Guatemala is also undergoing difficulties, as economist Nestor Quixtan explains. 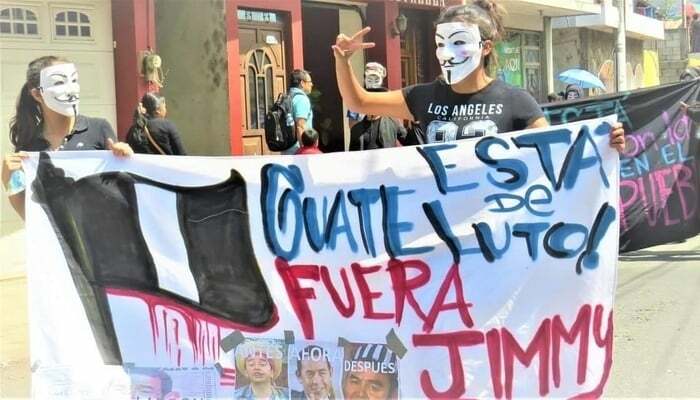 The current showdown in Guatemala between the Jimmy Morales administration and the United Nations-led anticorruption commission (CICIG) has reached unprecedented heights. For outside observers, this standoff may seem perplexing and even contradictory. On one hand, there’s Jimmy Morales, who got elected in 2016 as the “anti-corruption” candidate. And on the other, there’s CICIG, led by Colombian prosecutor Ivan Velasquez, whom many in Guatemala deem a hero. Since arriving in Guatemala, the CICIG has been busy. Their exploits include the takedown of former Guatemalan President Otto Perez Molina who resigned in 2015 after impeachment proceedings led to the National Congress stripping him of his immunity. Perez Molina is now in prison and standing trial. The CICIG has also dealt death blows to many of the Guatemala political elite. One example is the case of ex-presidential candidate Manuel Baldizon, who lost the 2015 election to Jimmy Morales. After his implication in the Brazilian Odebrecht corruption case, Baldizon tried to seek asylum in the United States. In January the FBI arrested him in Miami on money laundering charges and extradited him back to Guatemala earlier this month. Another example is the former police chief Erwin Sperisen, sentenced to 15 years in prison for his involvement in the execution of inmates during a 2006 prison riot. Sperisen fled to Switzerland, where he also holds citizenship, to avoid persecution. The CICIG provided expert testimony against Sperisen, leading to a life sentence, later reduced on appeal to 15 years. He is serving his time in Switzerland. They have also uprooted corrupt judges and prosecutors and helped the Justice Department bring tax evaders to justice. These exploits have split public opinion. Those opposing the CICIG cite selective prosecution, witness and/or evidence tampering, political persecution, and, as purported by the Morales Administration, an invasion of national sovereignty. Those in favor laud the CICIG’s investigative capabilities. They also underscore how the CICIG has helped Guatemalan investigators and prosecutors improve their capabilities. They see the CICIG’s presence as a tide raising all ships throughout the Guatemalan judicial system. The United Nations and Guatemala signed the CICIG’s original mandate in 2006, the first such commission of its kind in history. Since then, the cases mentioned above, and others, have shone a spotlight on structural corruption within the Guatemalan government. This spotlight fuelled the protests that brought down President Otto Perez and lifted Jimmy Morales to power. Upon his inauguration, President Morales extended the CICIG’s mandate through 2019. That was back before the CICIG looked at Morales himself. After his election, Morales found himself under the glare of the CICIG spotlight. They implicated one of his sons, and also his brother Sammy, in the forging of invoices. There have been multiple allegations of illegal campaign donations, so much so that by August 2017, the president declared Commissioner Velasquez “persona non grata” in Guatemala. The administration ordered Velasquez to leave the country. This decree met with much public opposition and an avalanche of appeals to overturn it. These appeals were successful, and the Constitutional Court ruled in favor of allowing the commissioner to stay in Guatemala. By August 31st, Morales had had enough and announced his government was expelling Commissioner Velasquez from Guatemala. That morning, armed military vehicles surrounded the CICIG’s headquarters and the US Embassy in Guatemala City. Rumors swirled about a military takeover of the CICIG and the arrest of Commissioner Velasquez. The next day, Velasquez flew to New York for a scheduled meeting with UN Secretary-General Antonio Guterres. Morales took this opportunity to decree that the administration would bar Velasquez from re-entering Guatemala. Velasquez is yet to return to Guatemala. In the interim, the UN Secretary-General has announced that Velasquez will continue to head the CICIG, despite the Morales administration asking for a list of candidates to replace him. Secretary-General Guterrez has said he would consider this request. The economic outlook for Guatemala seems uncertain. Much-needed tax reforms and public investment has now ground to a halt. It seems that doing business in Guatemala during this political struggle would be best postponed for now. It remains clear that, for now, all is not lost and the Guatemalan economy is not in dire straits. While caution is the operative term, the good US economy could boost Guatemala’s economy in the foreseeable future. If only all parties could reach an amicable agreement without adding to the unstable social atmosphere felt throughout Guatemala.